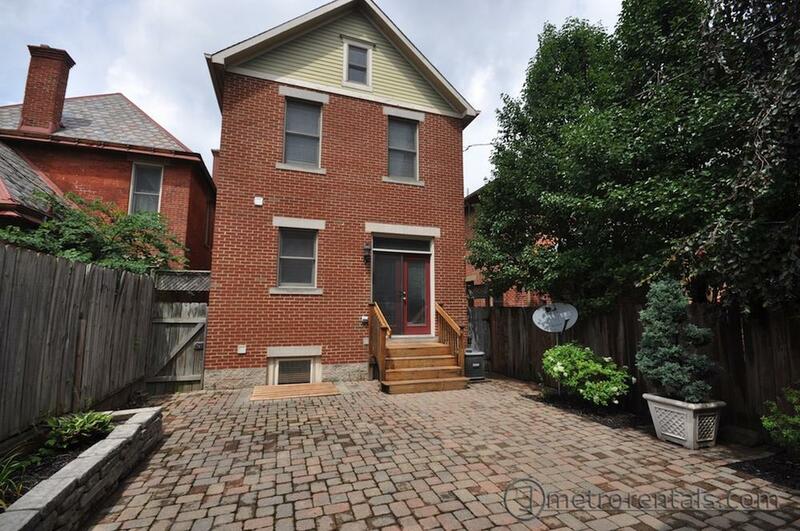 Located just one block east of High Street and all of the shops, pubs, restaurants and boutiques of the Short North. 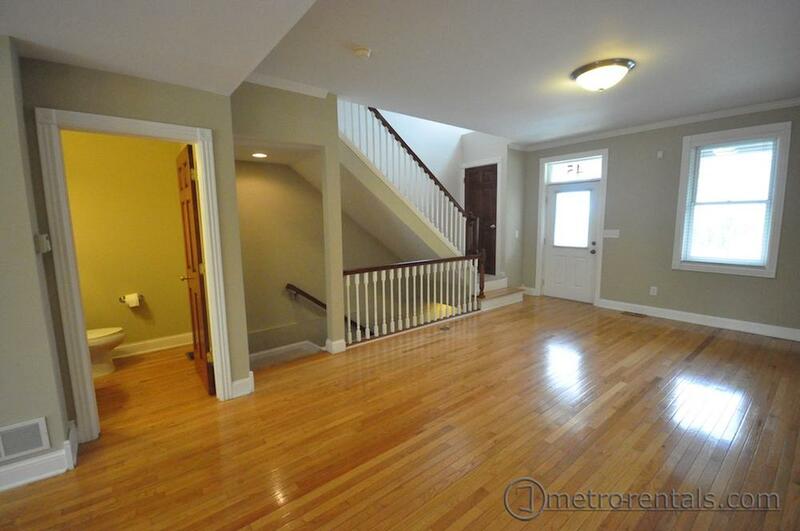 You enter the home from the small walk-up front porch into the front living room complete with tall ceilings and hardwood floors. 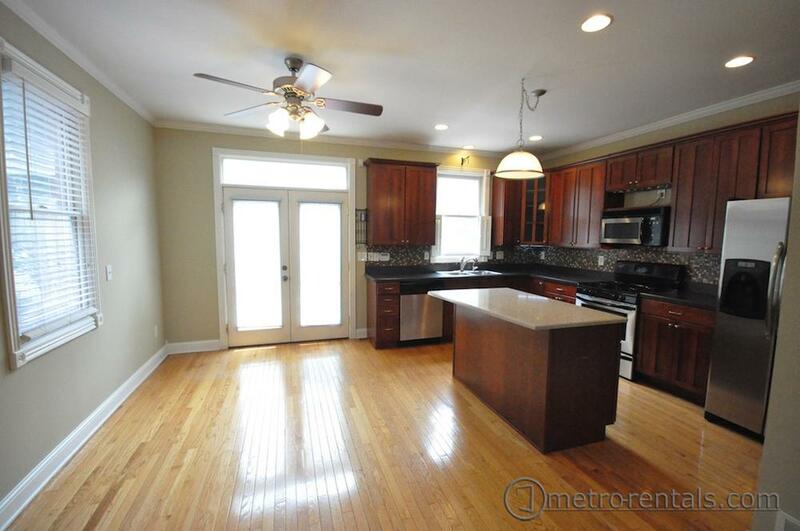 The eat-in kitchen is large and features wrap-around cabinets and countertops, island with seating area, hardwood floors, stainless steel refrigerator, gas range, built-in microwave and dishwasher. 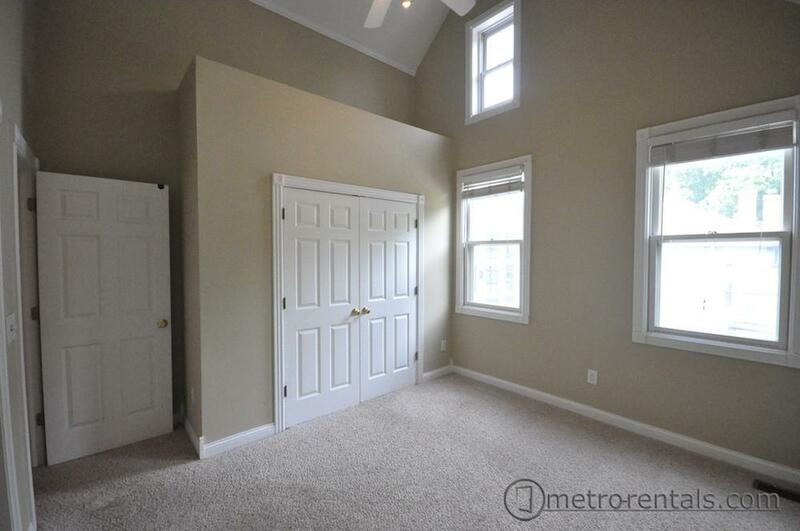 A half-bath and large living area complete the main level. 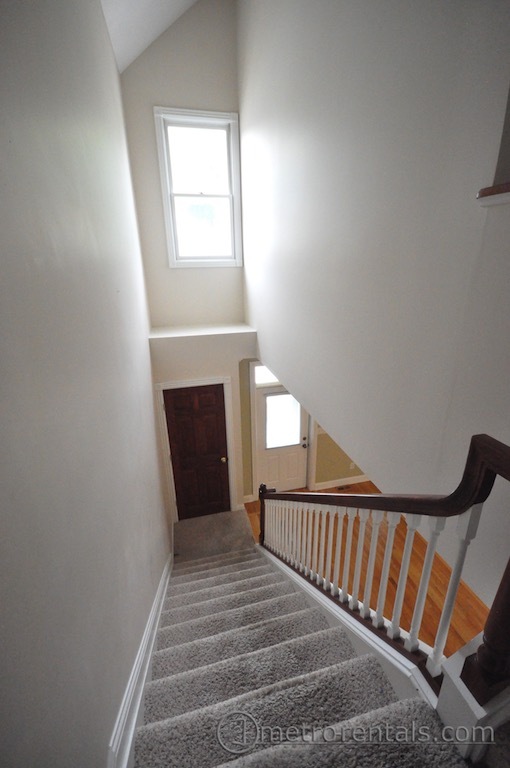 Upstairs are the Master and Junior Suites. 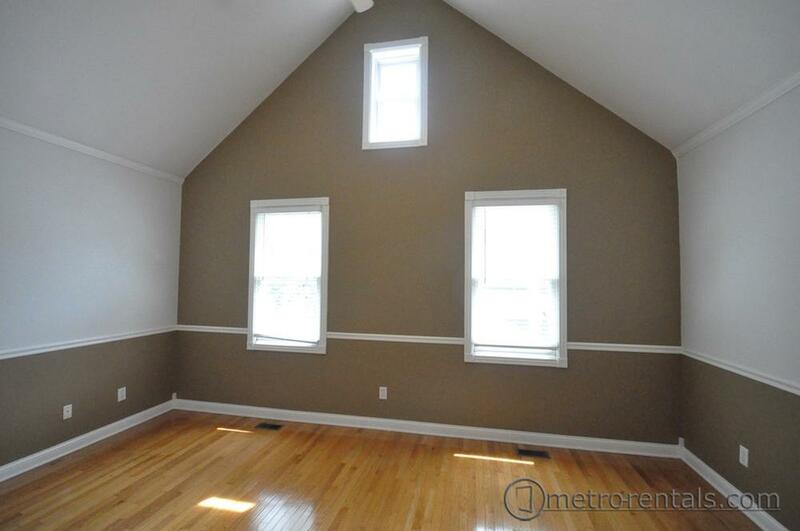 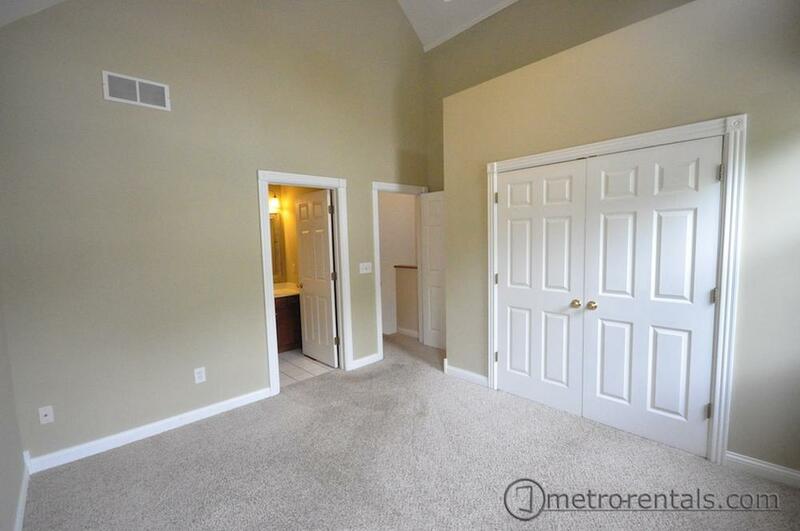 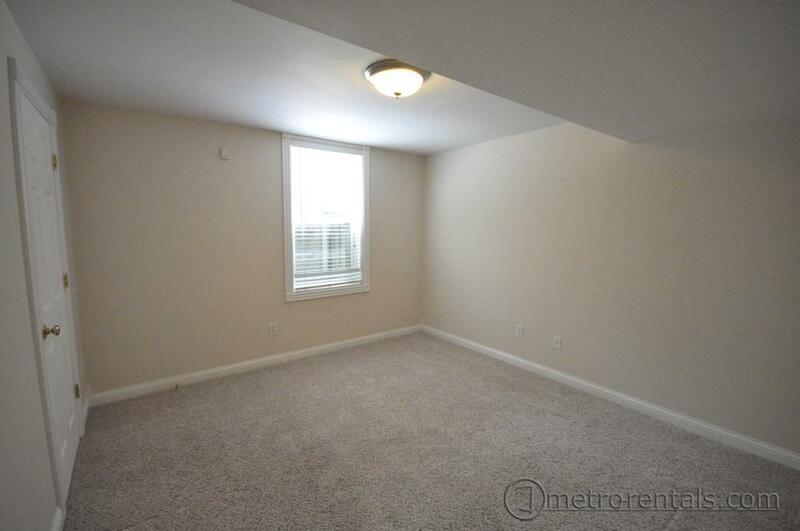 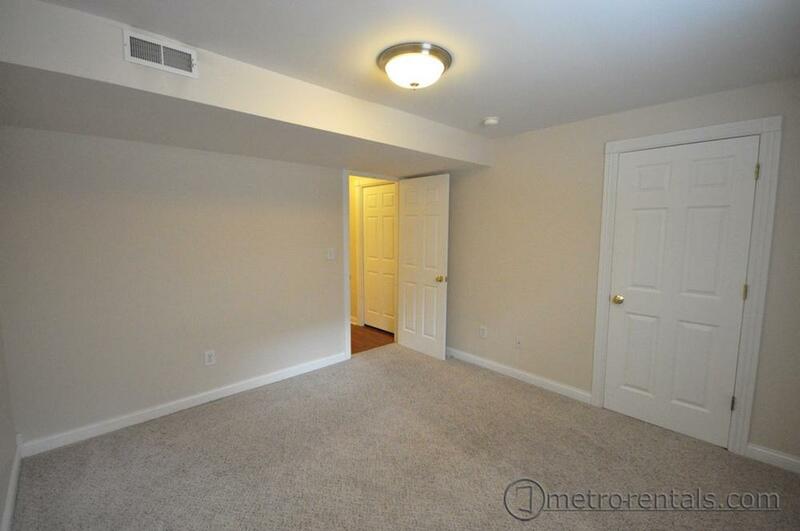 The Master Suite is quite spacious with hardwood floors and a walk-in closet. 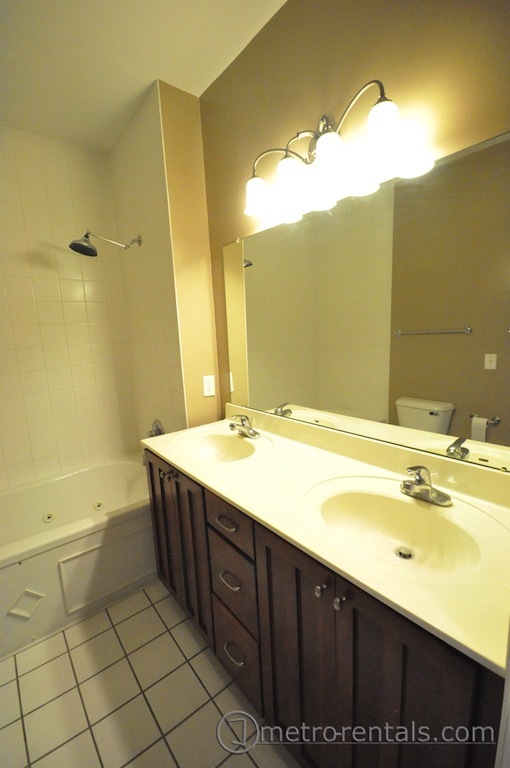 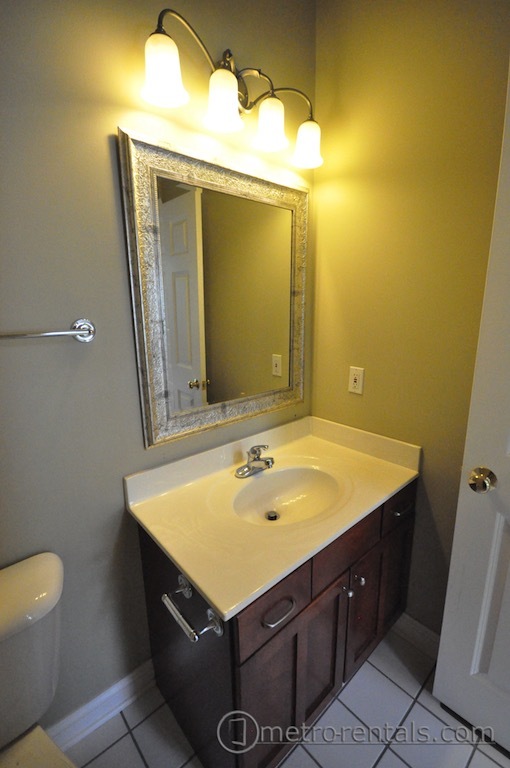 The Master bath features a Jacuzzi tub, dual sinks with storage vanity, oversized dressing mirror and overhead lighting. 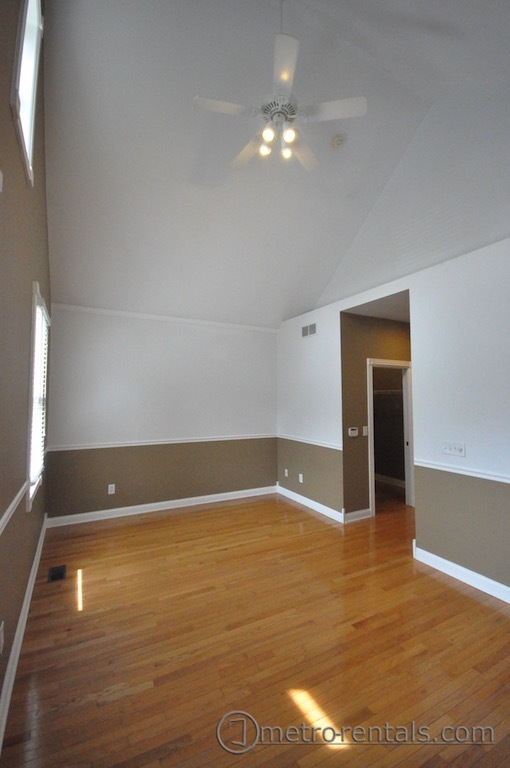 The Junior Suite is cozy with vaulted ceiling, reach-in closet, wall-to-wall carpeting and private bath with tile floors, storage vanity, dressing mirror, overhead lighting and tub/shower combo. 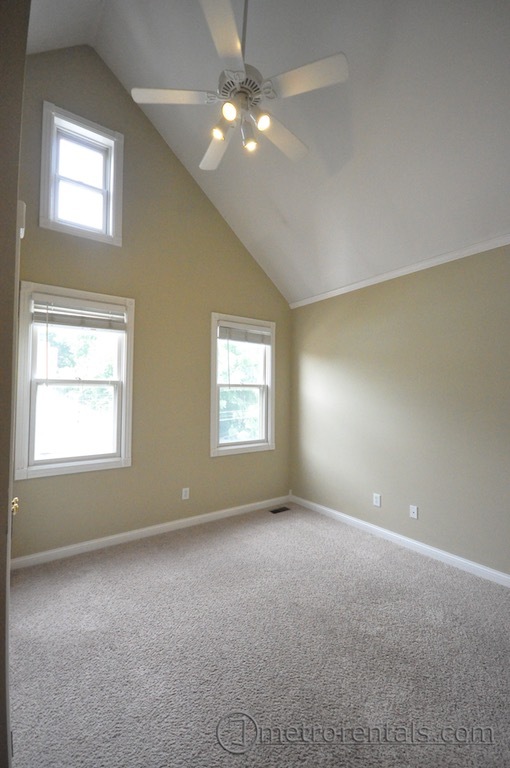 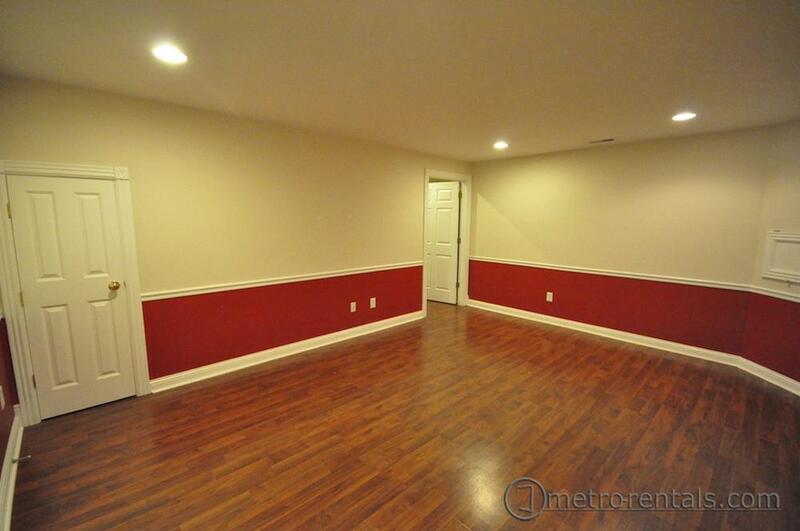 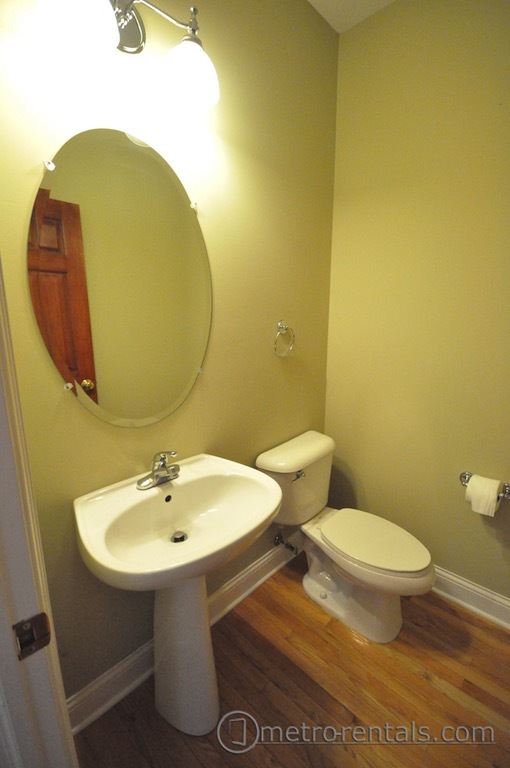 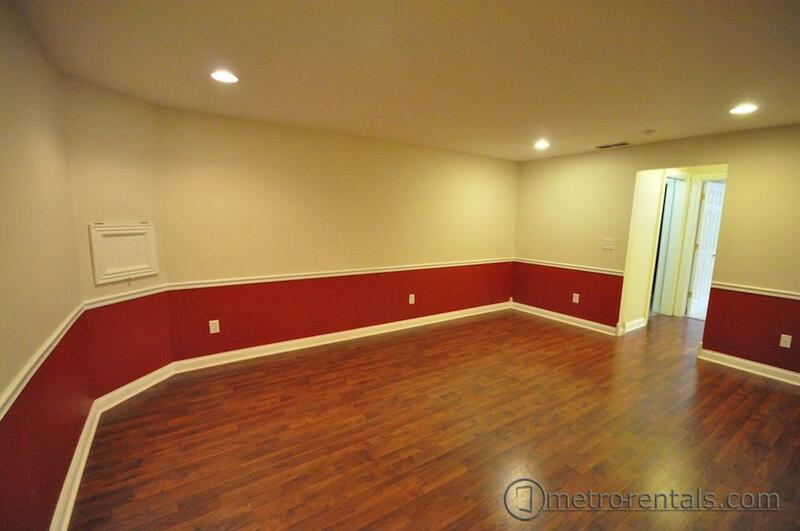 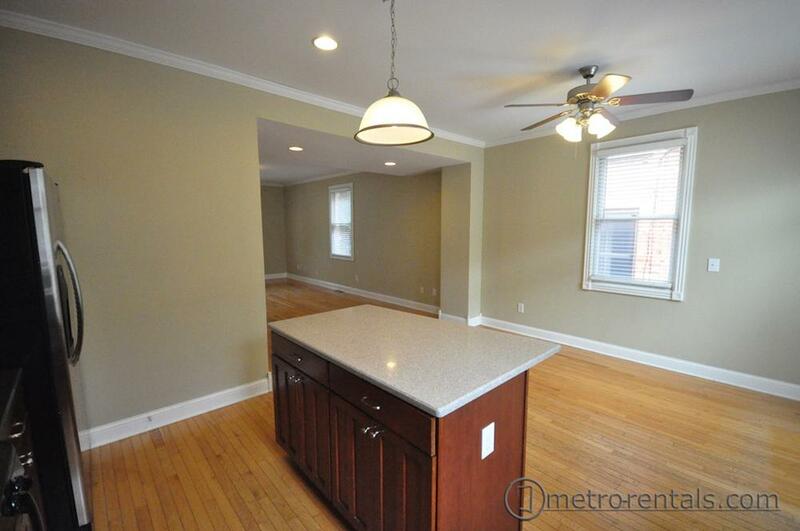 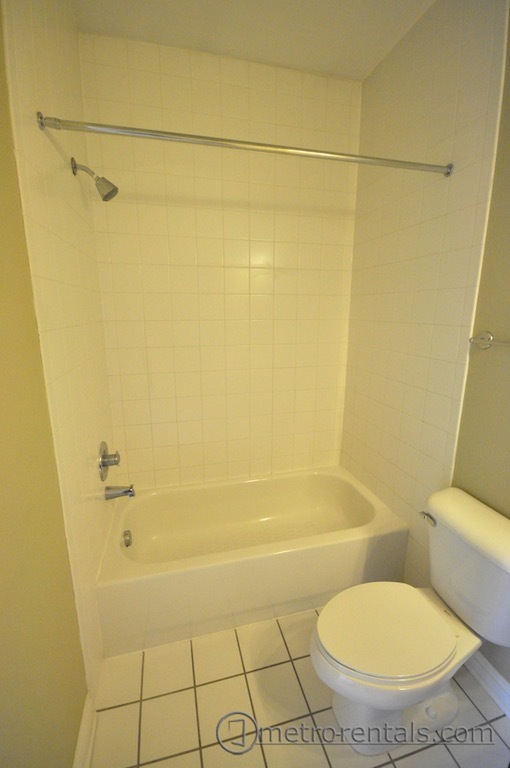 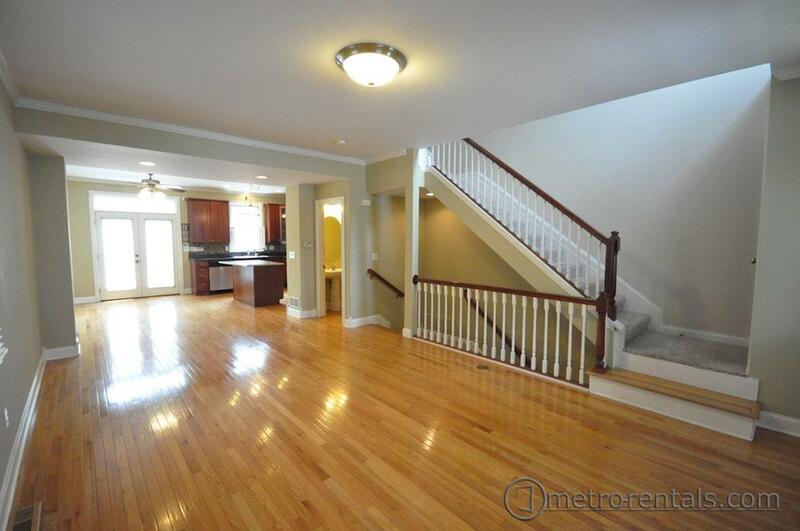 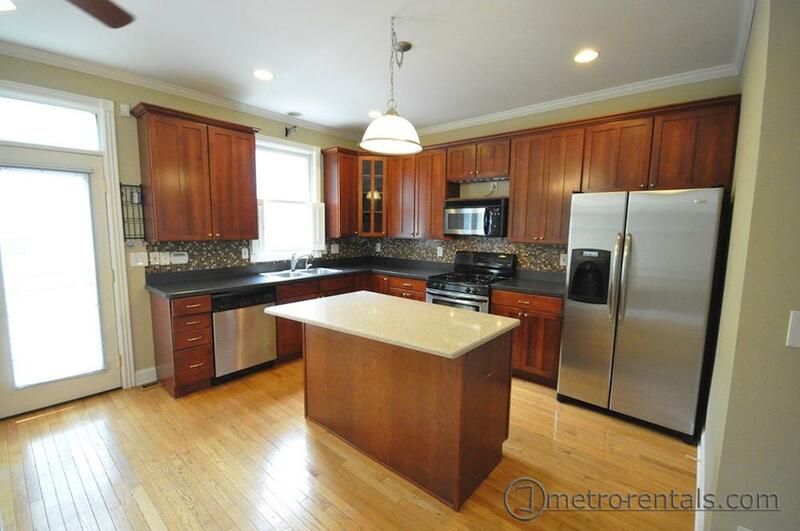 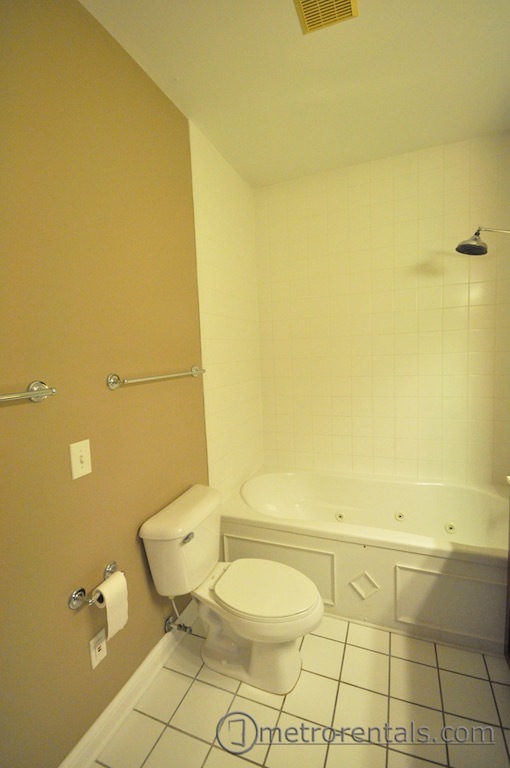 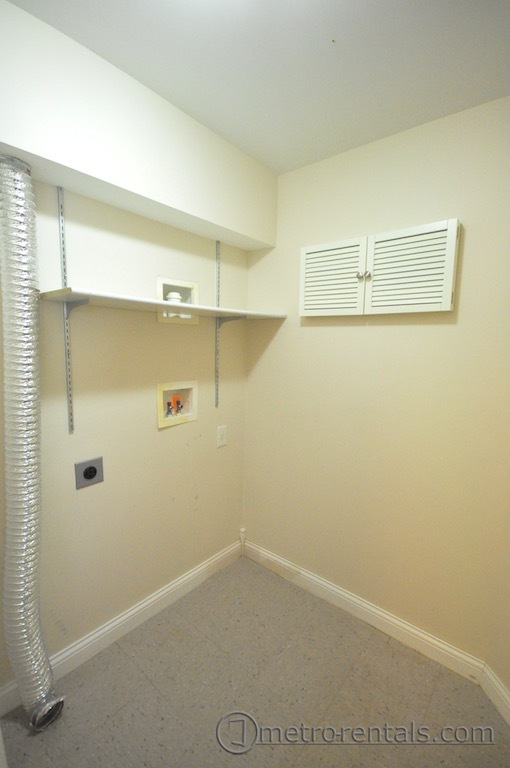 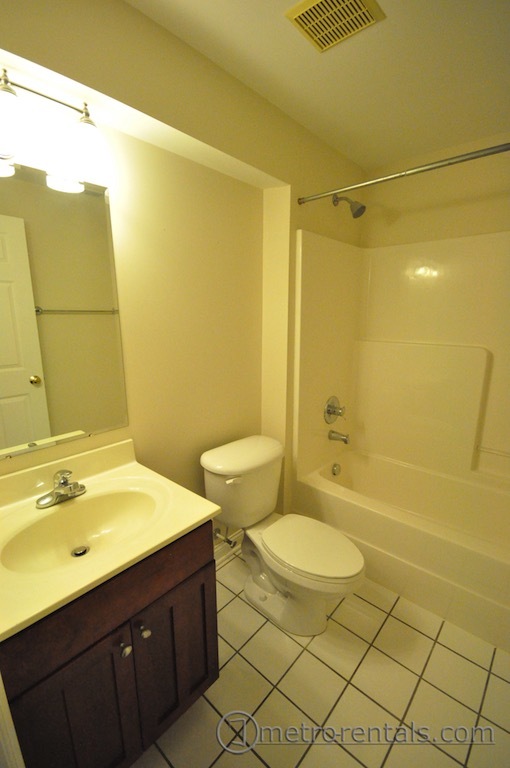 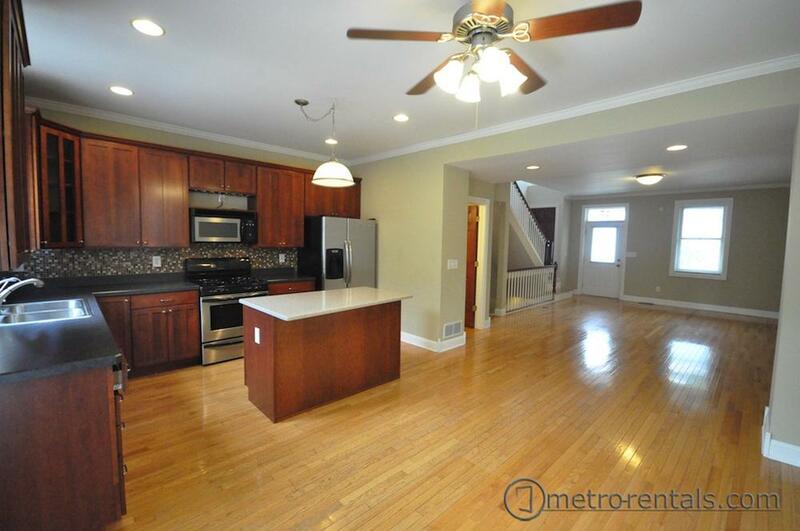 The finished basement area features the third bedroom, recreation area and a common bath. 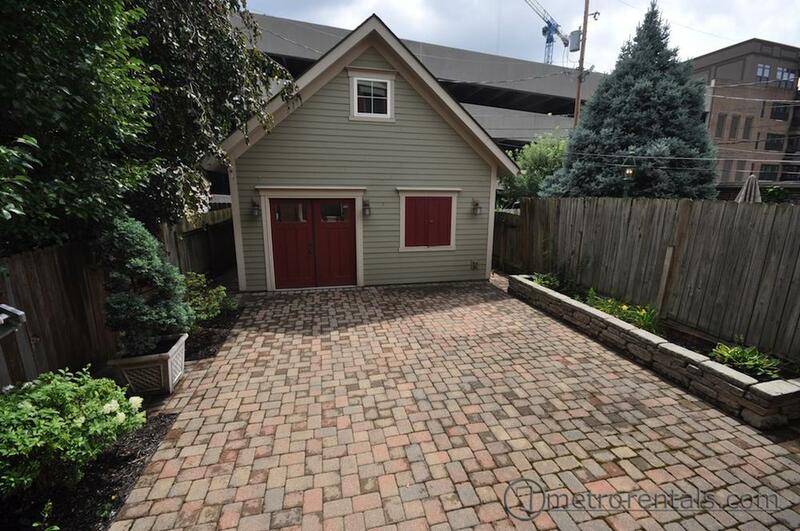 Bonus features of this home include a backyard brick patio entertainment area, outdoor TV cabinet with cable and TV hookups, and a detached 2-car garage with plenty of storage. 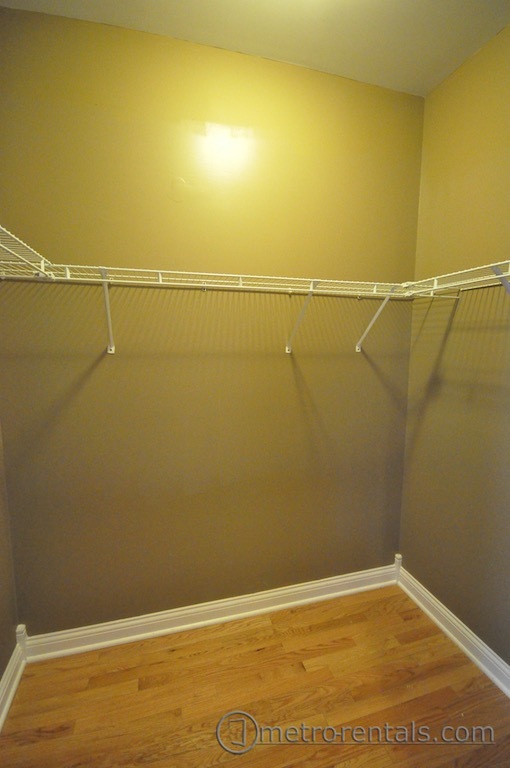 Dogs will be considered, but certain fees/deposits/restrictions will apply.